If you’re a service member, veteran, or a surviving spouse of a military veteran, and need to find information about VA home loan you may be eligible for special VA loan program designed to help lower your monthly interest rate. The Veterans Benefits Administration guarantees part of your loan, which can help offset costs, making home ownership more affordable than it would be otherwise. To find out more about the VA Loan Program Guidelines click here. A VA home loan is a mortgage loan made specifically for veterans and surviving spouses (who have not remarried). These loans are designed to make it easier for veterans to find affordable housing and to qualify for larger loans than they would have otherwise. A VA home loan can be offered by any lender, with many lenders offering additional special terms and financing options for qualifying veterans. The main appeal of getting a VA home loan, is the fact that unlike in a traditional conforming mortgage, where you may only qualify for up to 28% of your gross monthly income, with a VA mortgage loan you can qualify for up to 41% provided you have no other monthly bills. You will not be able to get any type of VA Home Loans With Bad Credit, you will need to establish good credit history over a 2 year period. The program works by providing backing, or a guarantee, to all or a part of the loan by the Veteran’s Benefits Administration. 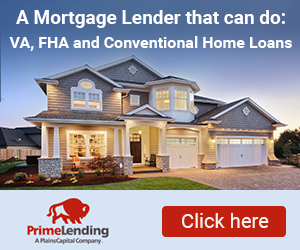 Because this offers the lenders more flexibility than a traditional FHA-backed loan or a conventional mortgage, qualifying veterans can often qualify for larger loans. This is made possible, because the VA Mortgage Loan Program in part, does away with private mortgage insurance – PMI. Doing away with the PMI does one of two things – it can either lower your monthly payments, making a loan more affordable than it would have been otherwise, or it can qualify you for a larger loan because the money originally earmarked for PMI will go straight to the mortgage. If you are ready to buy a home search my Ocala FL MLS listings for homes in the area. 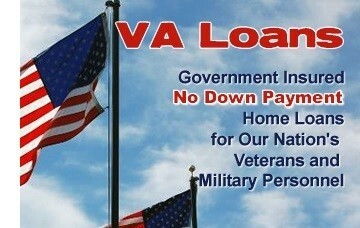 In addition, most VA loan programs will allow you to purchase with no down payment. This opens up the housing market to many veterans that may not have the savings available to make a large down payment, but who can easily afford the monthly mortgage. Finally, VA loan programs offer you a competitive interest rate that may be lower than it would be on a standard conventional mortgage. This is calculated in part by your credit score and current employment, which are essential in qualifying for the VA home loan program, but with the VBA backing, interest rates may end up even lower than they would be otherwise, helping you to save money each month. Nearly any lender can help you get a loan through the VA loan program, but you need to begin with getting a Certificate of Eligibility. Your Certificate of Eligibility will take into account certain factors such as your credit score, service history, and current employment to determine your eligibility. Your lender can help you achieve this certificate and facilitate the process for you. You will have to furnish proof of service to qualify, and your lender may need other documentation as well. If you choose, you can also apply for your COE by visiting ebenefits.va.gov before approaching your lender.